The contenders for the 1968-69 Emmys were announced on Monday, May 5, 1969. Star Trek was up for four awards. In the category of Outstanding Art Direction and Scenic Design, Walter M. Jefferies (Art Director) and John Dwyer (Set Decorator) were nominated for “All Our Yesterdays,” pitted against the Art Director for Laugh-In and the Art Director and Set Decorator for Mission: Impossible. In the category of Outstanding Film Editing, Donald R. Rode received his second nomination for Star Trek. The previous year, he had been up for “The Doomsday Machine.” This year, it was for the final Second Season episode, “Assignment: Earth” (aired too late to be considered for the 1967-68 Emmys, therefore being honored here). Rode’s competitors were the editors for The Bob Hope Christmas Special; a special presentation of Hallmark Hall of Fame called “Teacher, Teacher”; and the editor of an episode of Judd, for the Defense. 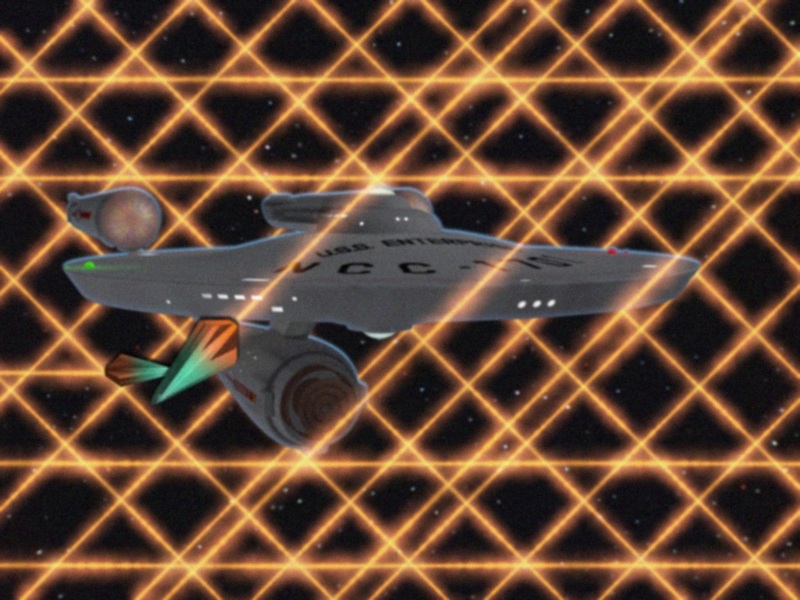 Competing for the Outstanding Photographic Effects Emmy, Van der Veer Photo Effects, Howard A. Anderson Company, Westheimer Company, and Cinema Research shared the nomination for “The Tholian Web.” It had never happened before -- four rival optical-effects houses sharing a single nomination. For the third year running, Leonard Nimoy was up for Outstanding Continued Performance by an Actor in a Supporting Role in a Series. His rivals: Werner Klemperer of Hogan’s Heroes and Greg Morris of Mission: Impossible. Star Trek only won one. But it was well-deserved -- an Emmy for the effects seen in “The Tholian Web.” Since the award was given out in the non-televised “technical awards” portion of the program, handed out earlier in the day, many sources say the episode was only nominated.